Jakarta Transportation Dept. (Dishub) prepares 9 bus terminals to serve passengers and also to anticipate surge in passengers during homecoming season of this Ramadan.
" 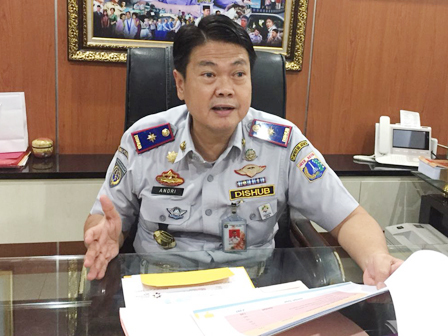 We will prepare these 9 terminals on D-8 of Eid or Thursday (6/7)"
Jakarta Dishub Head, Andri Yansyah said 4 of 9 bus terminals are the main terminals such as Kalideres Terminal, Kampung Rambutan Terminal, Tanjung Priok terminal and Pulo Gebang Terminal. His side also prepares additional terminals such as Pinang Ranti, Grogol, Rawamangun, Lebak Bulus, and Muara Angke Terminals. "We will prepare these 9 terminals on D-8 of Eid or Thursday (6/7)," he explained, Wednesday (6/6). He mentioned, homecoming bus crews should check up their health and conduct urine test in health posts provided by Jakarta Health Dept. and Provincial Narcotics Board (BNP). "Bus drivers who are in unhealthy state will be suggested to take a rest and shouldn't depart. While for bus drivers who are found out positive on narcotics will be sent to police," he affirmed. Besides, his side will also hold ramp check by testing KIR and checking available first aid kit on each buses. Then his side will put stickers on buses that have passed ramp check. "We also suggest passengers to take a bus from 9 terminals that we have prepared," he added.